The Vancouver Park Board is interested in increasing awareness about urban forests through educational opportunities, such as citizen science programs, that encourage the public to take part in helping to monitor the health of their local forests. To meet these goals, we conducted an intercept survey to understand public perceptions of urban forests, developed and tested a citizen science activity book to monitor aspects of urban forest health, and provided recommendations on how citizen science programs could be developed in the future. The results from our project showed that adults valued many aspects of urban forests but weren’t interested in participating in citizen science activities. 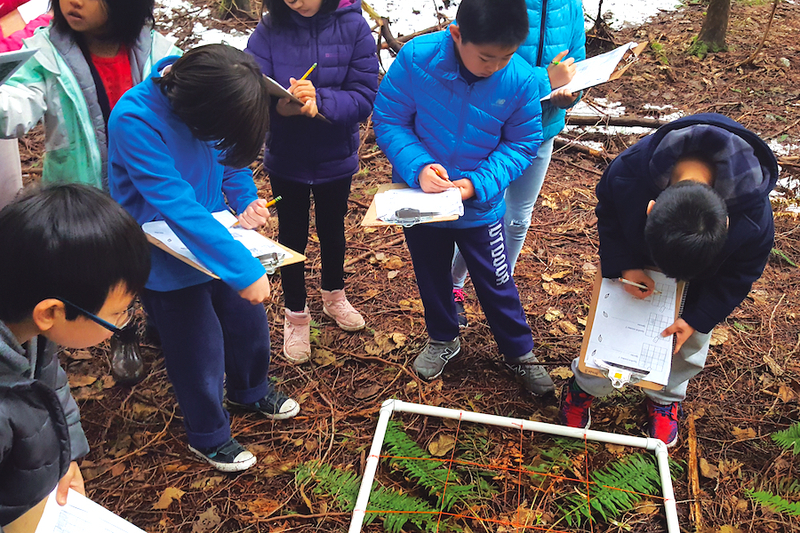 Grade three students performed quite well in collecting accurate data on forest health indicators, in particular, in identifying tree and understory species, measuring tree circumference and soil pH. Based on our results, we recommend that future citizen science programs should place an emphasis on increasing educational opportunities that teach people about biodiversity, since it serves well to engage older audiences. Citizen science programs can also be developed to include younger audiences, as they keen to be engaged in these types of programs, and have shown to collect accurate data when activities are appropriately designed.